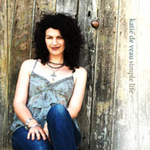 A Christmas offering from one of Australia’s great female voices Katie de Veau. This time of year is perhaps the one time when the world turns up the volume on music that is steeped in faith and tradition, so, if you want some great new versions of old classics you can’t go wrong with this EP. Katie has been putting out great albums for years now, but here we find her sublime vocals beautifully, delicately and tastefully accompanied by a handful of top shelf musicians. Christmas Carols like ‘O Come All ye faithful’ are served up with a harmonious blend of acoustic guitars that aren’t lost in the mix even when the full band kicks in. Silent Night is given a ‘piano driven ballad’ treatment enhanced by some beautiful cello /string arrangements. Whilst Mary’s Boy child will be a perfect sing along track live with it’s groovy percussion kicking in on the chorus. O Holy Night is perfectly handled with majestic pads floating behind the vocals and just so you don’t feel like you are buying ‘the same old’ Christmas music. 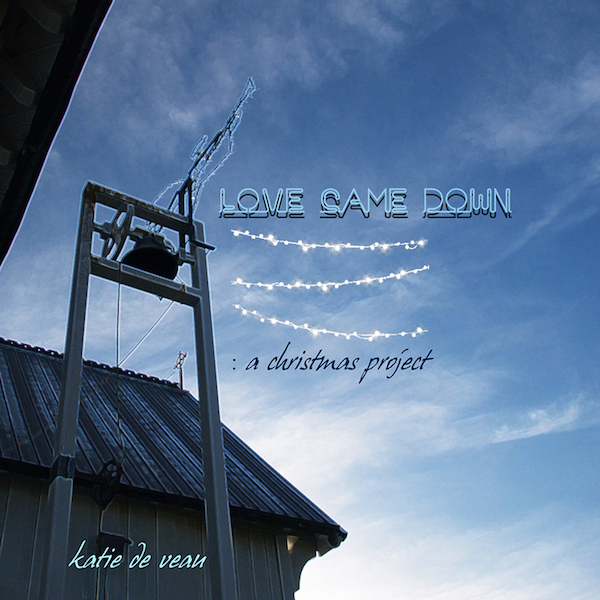 A de Veau original, ‘Love came Down’ rounds up a great Yule Tide collection for playing as the family gather this year. The real ‘Christmas Star’ here though is Katie’s voice. The producer has wisely allowed her vocal ability to sit in the drivers seat on each track, and even though the purity of the vocal is obvious, there is just enough gravel and rawness left in place to deliver a convincing heartfelt performance. Only one gripe….ten songs would have been better. Buy the album here and have it shipped to you or download from iiTunes store, Apple Music or Google Play. ‘Brand New Day’ is inspired by the hope found in new beginnings. With themes of family, love, faith, and heartache, Katie draws inspiration from real life and weaves it into a musical journey. Produced by Craig Ross, ‘Brand New Day’ is Katie de Veau’s fourth studio album, released April 8 2016. This album is an exciting, powerful and dynamic creation. The listener is captivated from the very beginning as they experience compelling contrast between simple reflective acoustic beauty and moving rock on their journey through the 10 tracks of the album. Recorded at Watershed Recording Studios Nashville Tennessee, as well as additional recordings in Sydney and on Queensland’s Sunshine Coast, this album is the result of stunning collaboration with seasoned musicians. Guitarist Chris Rodriguez (Keith Urban, Kelly Clarkson, Amy Grant) instrumentalist Wanda Vick (Taylor Swift, Keith and Kristen Getty) and LA guitarist Bob Somma all leave their musical mark throughout. Reflective ballads as well as inspirational rock all find their place in this musical journey. Truly food for the soul. “As a producer one of the first things I check for in listening to a CD is the production standard and whether I will want to listen to the album again and again. That is partly in the recording and post production – but it is also whether genre appropriate for each song and whether the instrumentation supports the songs message. Next are the songs themselves – the lyric, their flow. the content and message.I am pleased to say that ‘Brand New Day’, Katie de Veau’s latest album, ticks the boxes on all these points. From the reflective and easy listening ballads to the rocking uplifting songs, this is an album that adds to the Christian and mainstream music scape. This album will be on my playlist rotation. “Katie De Veau’s new album ‘Brand New Day’ is a flavourful mix of well crafted country pop tunes. Her clear vocals soar with a delicate authority which easily arrests the heart. This is an album with deep themes expressed in a way that brings peace and rest. 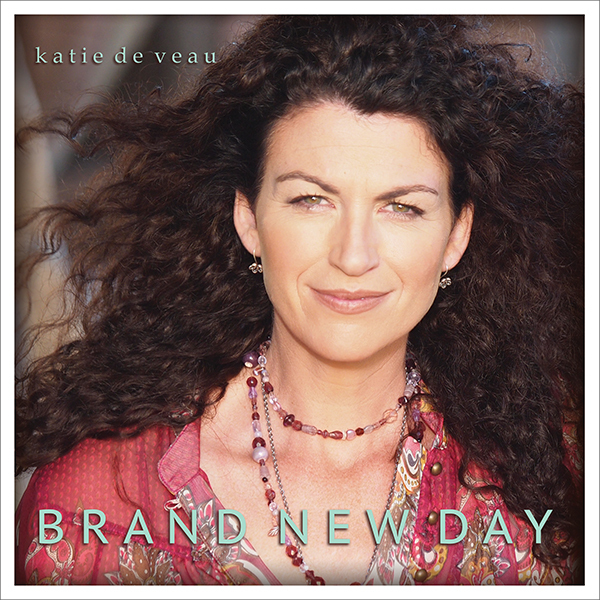 “Katie de Veau’s ‘Brand New Day’ album is such a refreshing, inspiring collection of songs. musicianship form a strong platform for Katie’s unique vocal tones… I admire Katie for her boldness to step out and keep believing in the power of authentic, original songs in a world where so much of what we hear out there lacks substance and truth. “Contrary to the modern music industry’s philosophy, watching an artist develop is a long-term project and, with ‘Brand New Day’, Katie has shown that good things come to those who wait. The writing is clear and connected, the music organic and catchy, the vocals honest and assuring. There’s nothing simplistic about this release. It’s a grown-up commentary about her world and what matters to her. You can buy Katie’s new Album Brand New Day here! Saturday Night the 27th of August was the scene of the release of Katie’s new Album, “The Simple Life”. Held at The Street Theatre in Canberra as part of their “Made in Canberra initiative”, the theatre was filled with supporters who had come to celebrate the release. The ‘Simple Life’ offers beautifully crafted songs possessing confronting honest lyric married to a timeless acoustic framework. The result is an album that reflects both a deep intensity and sweet simplicity. The “Simple Life” can be purchase directly at our store here.